Why should I start with these spells? 1 Why should I start with these spells? 2 What is Magical Energy? 4 How do I cast a spell? 5 How do I know if a spell worked? 11.0.1 Why didn’t my spell work? Wiccan spells for beginners can help a person new to witchcraft expand both their knowledge-base as well as spell crafting skill. Wiccan spells made especially for beginners can be a great route to take in your path of witchcraft and Wicca. If your goal is to create some very powerful spells that take little amount of effort, you will need to spend some time and study, learn and apply all the information presented to you. The more in sync you are with the rest of the environment around you and the universe above you, the greater the power you will have. Beginners who cast spells don’t typically get the exact results as another individual who practiced spells for a lot longer. I compiled a small list of these wiccan spells for beginners. Let’s start with a few spells for beginners to start nurturing your natural powers. 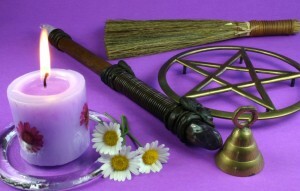 Wiccan spells for beginners should be simple and easy spells to test the waters of your power and enacting your will. You need to learn about visualization,meditation, the trance state, etc. Try these wiccan spells for beginners and let me know how they work for you. Try some of these brain training games for free to help improve your mental aspects of spells work. Here are some wiccan spells for beginners you can start taking advantage of right now. Do remember that you will need to learn them, practice them and develop them, in order for them to give you the best results. With your increased wisdom will come more power. The more power you have, the great effect your spells will have. Finding a great program, teach or even a heap of books can all help you grow! Casting a spell can be as simple or as complicated as one makes it. I will go over the commons steps of casting a spell and as you grow into your craft you will likely modify this process to suit your needs. The first step is to purify the mind, body and spirit. You want to clear out any negative emotions in order to enter the trance state. A simple purification ritual of bathing and meditation is wonderful. Anointing oils can be added when you have more tools at your disposal. You will want to meditate until your mind is clear and your energy has risen. You then want to make sure you space has been purified and is ready for the spell casting. Cast your circle and begin the spell. Cast your spell circle and connect to the energy of the Goddess. Call upon source energy from within. State the desired outcome of the spell as though it has already come to past. While in the trance state visualize your goal coming true. Raise energy by chanting, dancing or drumming. This energy will be used to give your desired result. Direct this energy to your spell casting goal. Offer your thanks and close your circle. Act as if the spell has worked and give thanks to the Goddess. How do I know if a spell worked? Many people want to know if their spell has worked or not. The easiest way to tell if it will work is by reading your energy levels after you have casted the spell. Do you feel energetic? Do you feel warm? These are some physical indicators of elevated energy needed for spell casting. After you have casted a spell you should journal any happenings both small and large that are related to the spell. For example if you cast a spell to find something and that night you have a dream where you found the item. Journal the dream and look for any clues that can help you. If you get a random thought to lift a pillow then follow your intuition when you listen to your subconscious you build a connection which can lead to powerful experiences and relations. The full moon is considered to be a very powerful magical energy. When you combine the Goddess energy of the full moon with other elements for that represent love then you have the makings of a very potent and powerful love spell. This love spell is perfect for beginners who need to rely a little bit more on the power of the elements while building their abilities to focus, raise energy and meditate. Ever been in a situation where you are interested in a guy or gal but wasn’t sure how they felt about you? Do this love spell! This spell will promote a romantic vibration out into the universe. If the person is interested then the spell will make the person notice you more. It will clear any obstacles preventing a potential relationship but won’t force someone to fall in love with you. Looking to put an end to a love spell cast by you or another? This spell should be done on a Saturday during the waning moon and only requires three items. Cast this spell if you want to end a love spell like the one to make someone fall in love with you. If you don’t know how to charge a candle then read about it first. Find the myrrh oil on amazon for the fastest shipping. This is a great money magick spell. It only requires simple things you can get in one trip to wal-mart.This Wiccan Money Spell has been on various places on the web since 1995. This spell is a classic! Try it and expect wealth because this spell works wonderfully. Stand with your eyes clothes for 3 minutes or so. Raise your hands to the Sun. Slowly lower your hands while visualizing a blue light surrounding you. Breathe in through your nose, clean loving energy and breathe out through your mouth all negative emotions and feelings of limitations. Repeat a simple mantra while you repeat this process. When you feel your energy raised push the field out expanding your energy to fill up the space. Focus on healing the earth. Send this energy to the ones who need it most. When the energy has been released, thank the Goddess. Breathe in any excess energy for your day or spell. Try to read more about Wicca and witchcraft. There are plenty of free information on the web. You will need to use you own inner guide to determine what path is right for you. Don’t take everything on the internet for face value. Do your research, learn and share your knowledge. If you try these spells and they don’t work for you or you achieve unwanted results try again and try to troubleshoot where you went wrong, common errors may be lack of concentration, lack of belief, etc if you know what you need to work on then you know how to get better. Pretty soon your power will grow and you will be doing amazing spells, and not just wiccan spells for beginners. Your passion, intention, mood and energy fuel your spells. If you have doubt in you heart it can neutralize your spell. You can do a spell anywhere! It doesn’t have to be in your room or traditional space. You do need to work in a serene environment. Cast spells in a quiet place where you will not be disturbed. Once you have cast a spell you mustn’t speak on it for 24 hours. Avoid thinking about it if at all possible. Dwelling on the situation can bring negative emotions to the surface, which neutralize your spell. It has been said that the spell chants should always rhyme. I don’t agree with this now but as a beginner this tip was very useful to me. Chants that rhyme have a special rhythmic energy about them, they are easy to remember and repeat. It is the repetition when chanting that creates the altered brain state needed to produce magickal energy. Never cast a spell to manipulate or harm someone. This is a varied rule some alluding to love spells or doing a spell on another. Drink water. Water is so important. It gives your clarity of the mind and can help you fell as ease. You must drink water. Exercise is an element of physical energy. It can help you de-stress and focus on your intention. Meditation is vital! You must learn to quiet and focus the mind at will. Do magick everyday. This doesn’t have to be an elaborate spell. You can simply ask for something to happen with a small chant and watch for the results. This will build your connection to the Universe and the Goddess energy. Why didn’t my spell work? Go over the common spellcasting mistakes in order to troubleshoot your spell. This article will provide information on spellcasting and what you can do to ensure your spell works! Have you cast a spell and now would like to know how to write your own? Read this guide on spell writing. Not only are these wiccan spells for beginners fun and easy to do but they also have clear cut results. I am a believer of the power of the mind, body, soul, spirit, earth and all its wonders. The power that causes a spell casted by you to work isn’t found in a step by step tutorial. The magick comes from within, the powerful energy that we call magick is within you and it surrounds you. If order to create a powerful outcome with the use of magic you must be able to connect to source energy both mentally and physically. Realize that your thoughts, feelings, emotional control, physical fitness and willpower are all expressions of source energy just as air, fire, earth and water are magickal expressions of the Divine. Once you seek to master the divine within you will tap into your unlimited power and ability to co-create the life you truly deserve.